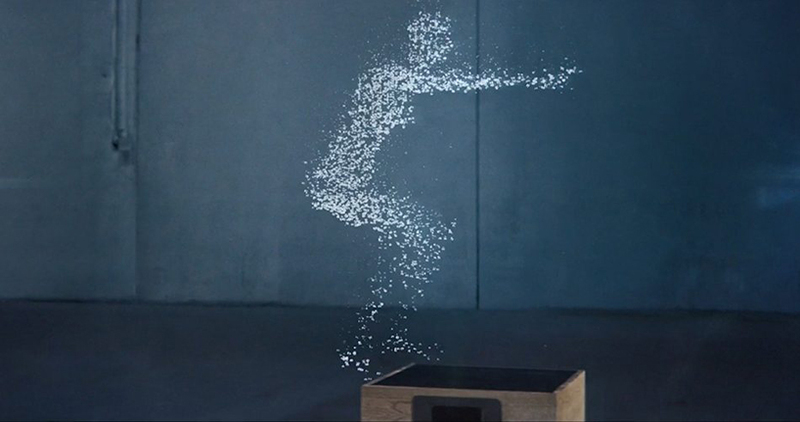 london-based machine shop turns the tech world upside down with their newly developed 3D water printer for gatorade’s commercial depicting a human figure exercising in a gym. 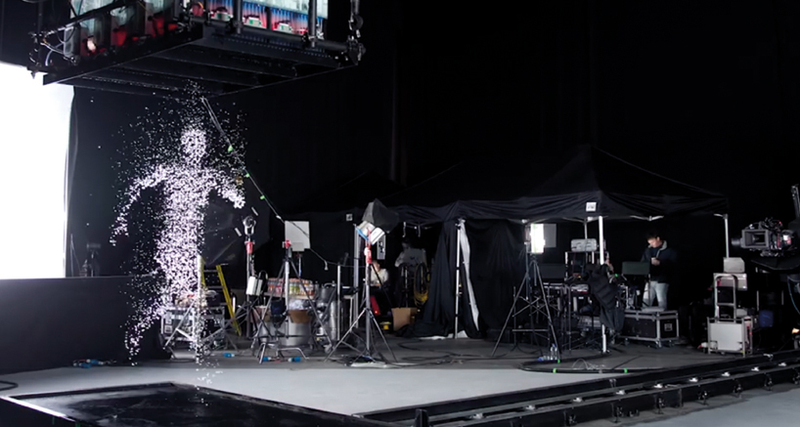 unit9 films under director cole paviour enlisted the studio to design and build a device capable of delivering full-scale renderings of a human using data from motion capture and 3D modeling, precise to the millisecond and the millimeter. machine shop developed software to deliver the data direct from 3D models of each frame in real time, the models could be positioned in space to enable full interaction with the environment. the programme counteracted the effect of gravity through the image, effectively squeezing the shape at the source to ensure it looked perfect at the crucial moment that the flash went off. the printer consists of 8 individual units, each with 256 individually controllable high-speed solenoids. a total of 2048 pixels were available per slice of the render.